My wife and I enjoy hiking and every year we take two significant hiking vacations. 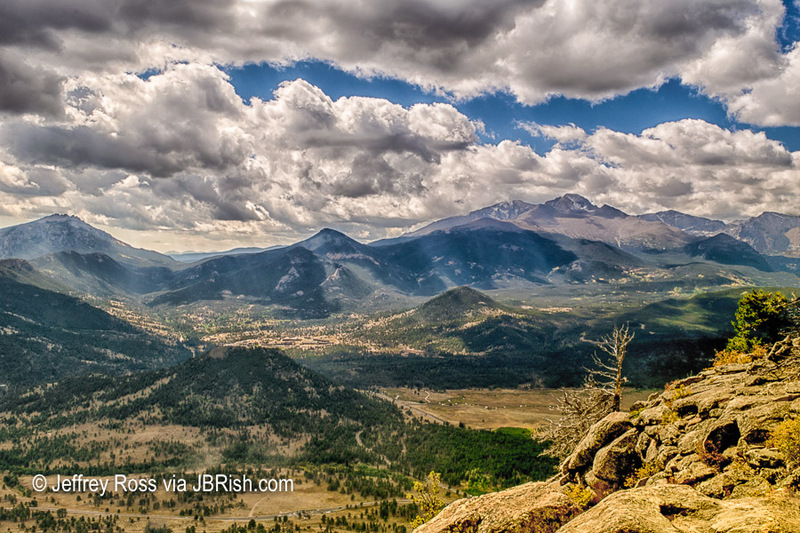 During these hikes or treks, I enjoy taking photographs of the scenery, nature and other interesting finds. The hike to the top of Deer Mountain, Rocky Mountain NP, was somewhat difficult in parts, especially the last ascent with a steep upward grade. The view from the top was striking although the day was overcast and the colors subdued. Nevertheless, I captured the streaks of light coming from the sky, piercing the clouds and hitting the Moraine Park area. The picture captures the mood. I thought perhaps since the tonal values were not intense that it might be better depicted in a black and white rendition. As you can see, the subtle color of the streaks of light become lost as they blend in with the surrounding monochromatic tones. What do you think? Longs Peak is almost directly north, far off in the distance of the leafless tree on the ledge. 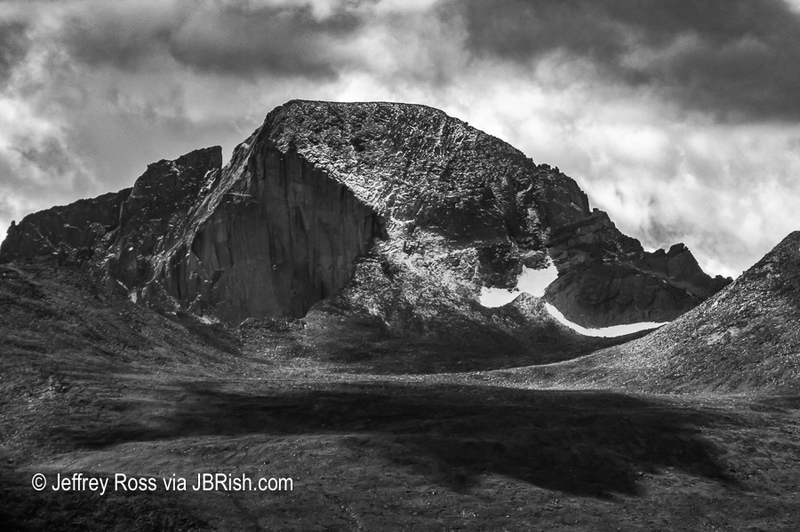 Here is a closeup of Longs Peak.